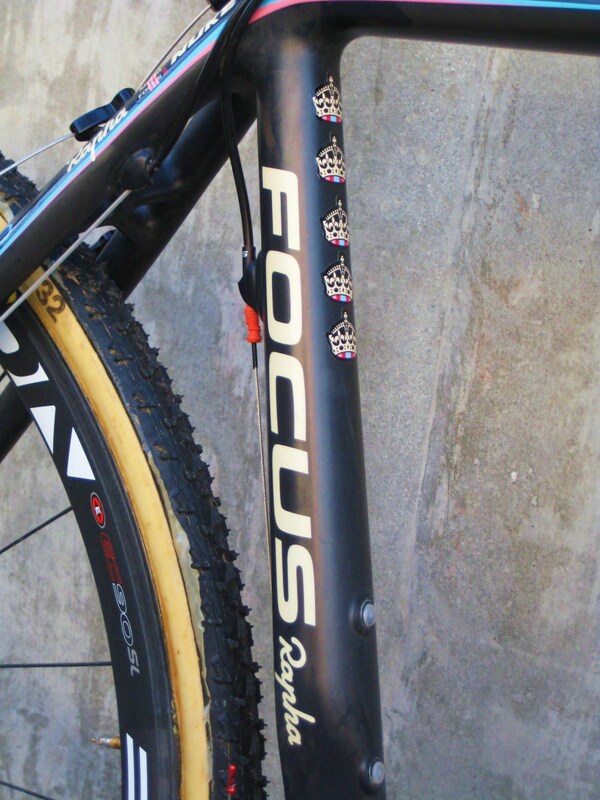 These were Zach McDonald’s Rapha-Focus team cyclocross bikes for the 2011/2012 and 2012/2013 seasons. 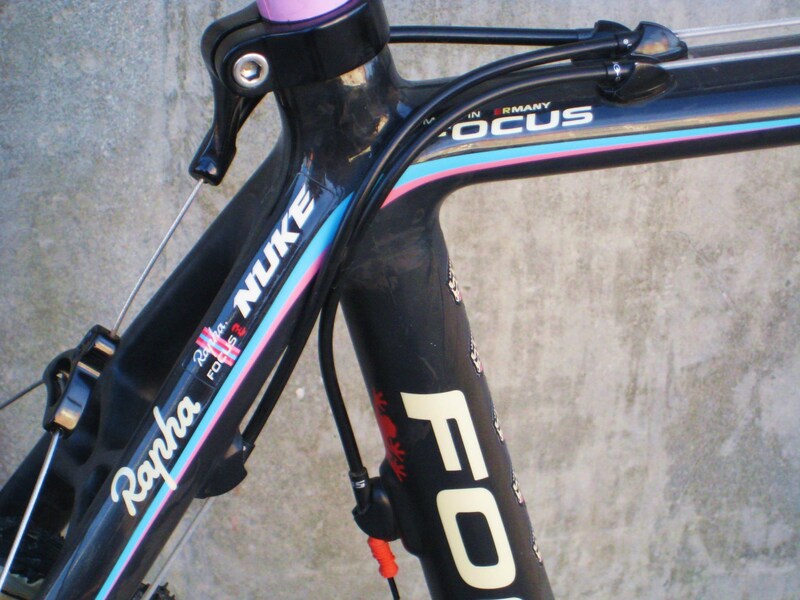 Rapha used the Focus Mares carbon fiber cross bike, built with a bunch of custom details for Zach and his teammate Jeremy Powers. 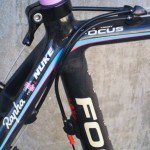 Since the title sponsor Rapha was a clothing company, they had to make sure that the bikes didn’t clash with the outfits. 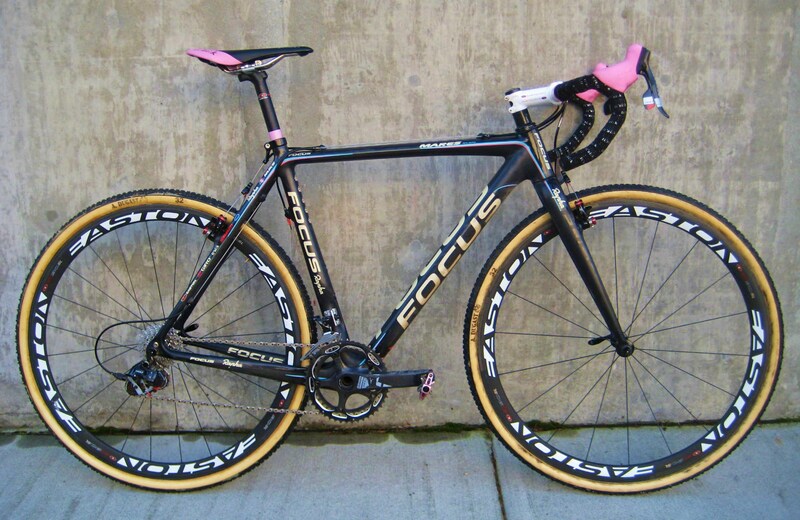 To match the standard team kit these bikes got custom paint with pinstripes, pink pedals, custom saddles, wheels, brake hoods, and decals. 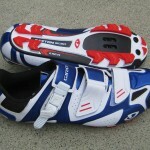 For the year where both Jeremy and Zach rode in national champion colors there were red, white, and blue accents. 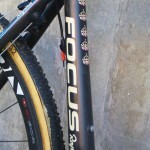 These bikes came equipped with Sram’s top of the line Red component group and goodies from Easton, Fizik, and Crank Brothers. 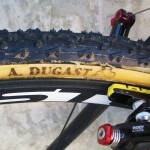 Tires were from Challenge or Dugast. 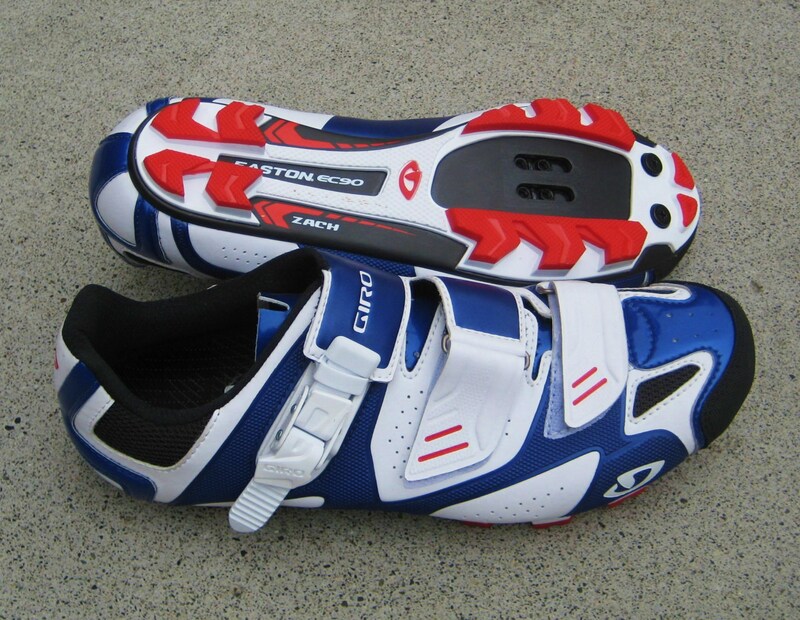 As they sat, without the mud, they’re sixteen pound racing machines. 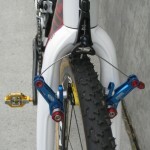 The last year with cantilever brakes? 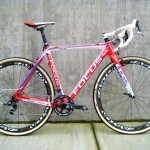 These were just about the last versions we saw with Avid Ultimate cantilever brakes. 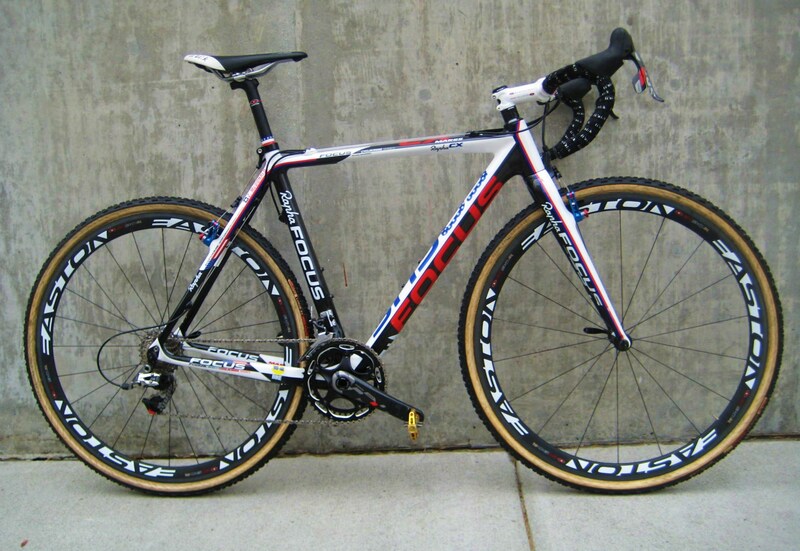 Zach, Jeremy and most of the cyclocross world had switched to disc brakes by the 2013/2014 season. 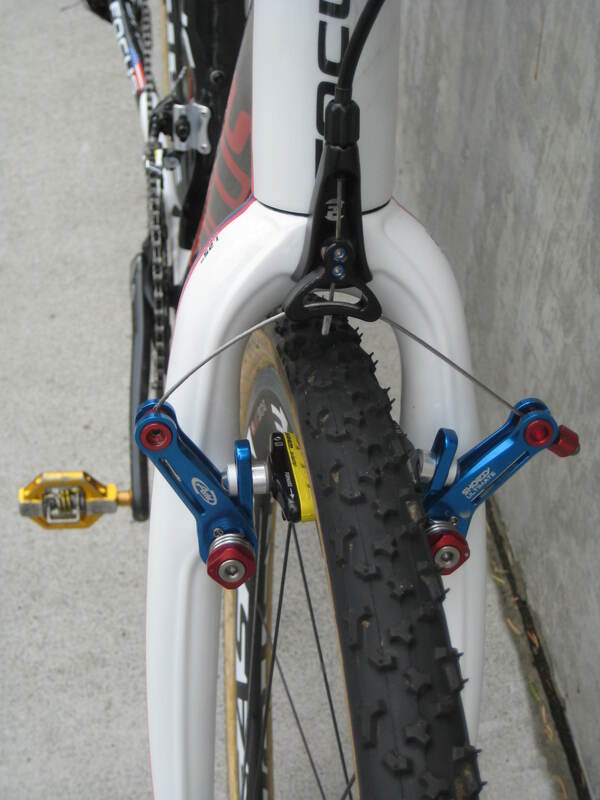 Zach admitted that he actually preferred the lighter weight of cantilevers, but it had proven to be too difficult to sell his bikes at the end of the season without having disc brakes on them. 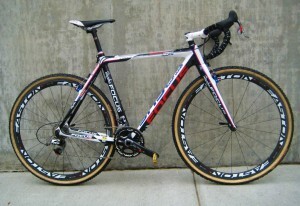 The editions that followed these bikes used Sram’s Red hydraulic levers and brake calipers. For the 2012/2013 season, Zach was the national champion. 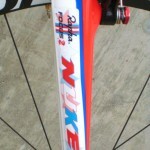 There was a 3 week period between Zach winning the title and when he raced at the world championships. 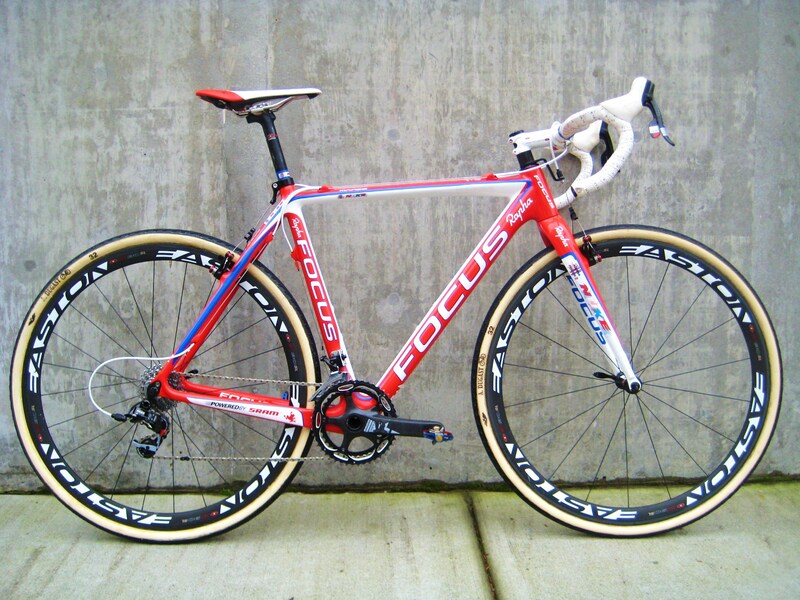 For that one race he got the red and white bike, which was actually raced at Paris-Roubaix the previous spring by a Katusha team rider. 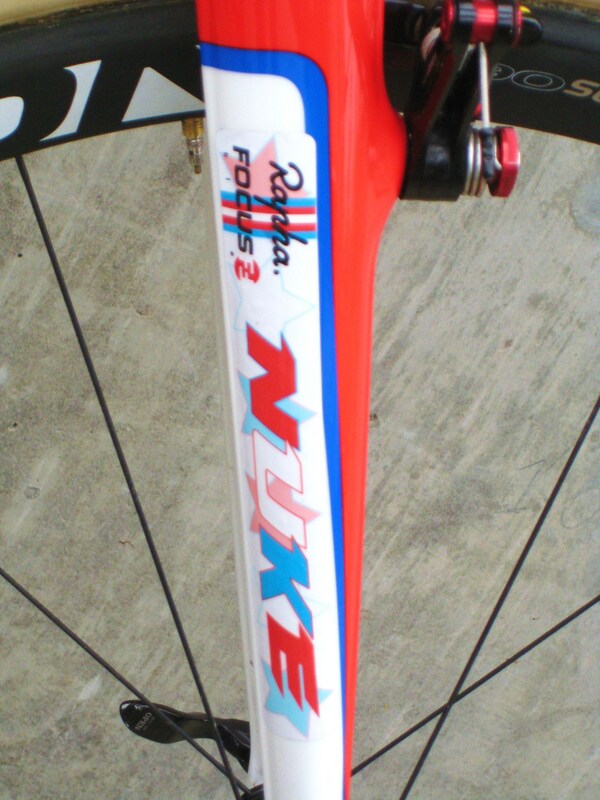 The Katusha decals were covered up with new Rapha decals and bits of blue electrical tape. Each season, Zach had three of these bikes. 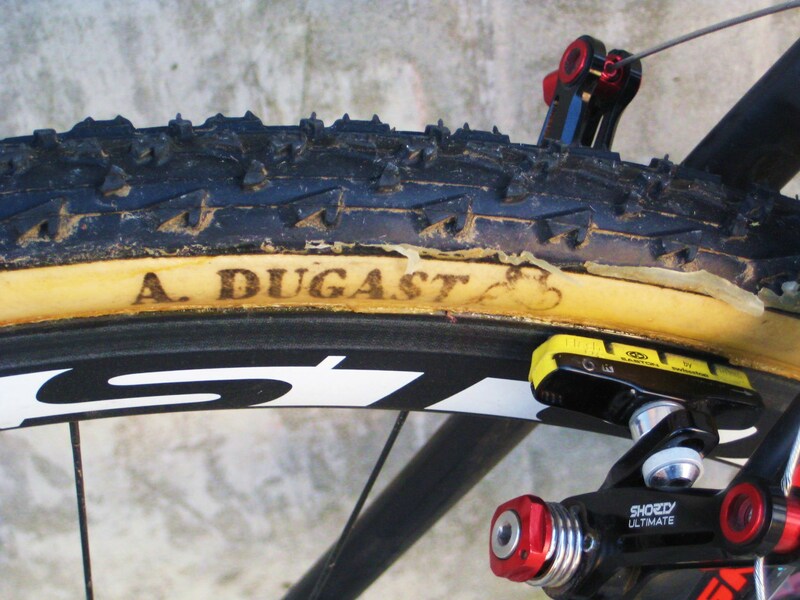 In cyclocross you get muddy, so you alternate between bikes over the course of an hour-long race. Just ride into the pits, swap your dirty bike for a clean one, and the mechanic will have your muddy bike washed up and ready to switch back before the next lap. We know what you’re thinking. Switching back and forth requires only two bikes, why did he have three? 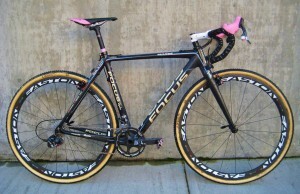 The third bike was for the airlines to lose on the way to the race.